Pastor Kathy Kiuna WARNS poor Kenyans against ATTENDING her JCC Church service, it’s not your place. 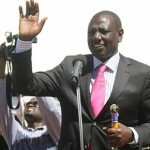 ICC prosecution witness DROPS BOMBSHELL says all ICC Witnesses AGAINST Ruto were Uhuru’s PNU party members! 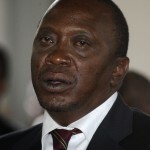 SHOCKING: How President Museveni LIED to Uhuru and Ruto about the ICC TRIALS! WHY Facebook and Instagram WERE DOWN Today! Is This How a Police Officer SHOULD behave in PUBLIC? What really defines our police force? This is a trending picture of a police officer- very gross !